One look at our Durango Citadel and you'll see that this machine has taken it's good looks from it's little brother, the Charger! For the 2011 model year, almost everything was new on the Durango....from the new unit body platform to the overall styling. This Durango Citadel has a lot to show off and is ready to go! This Durango Citadel is more than just a pretty face, though! You've got a 360 horsepower, 5.7-liter V8 engine sitting under the hood that loves to be pushed to it's limit! And, with Rear Wheel Drive you can take almost any route in any weather and still feel secure on the road! Our Durango is decked out in the luxurious Citadel trim which means you get more room, more luxury, more stares, more of everything! And we all know, more is better! Just take another quick look at our pictures and notice the bolstered leather seats, heated and cooled front seats, sunroof, navigation system, and rear DVD player. You will be able to envision yourself behind the wheel - your better half in the passenger seat - the kids in the back. You get the point! 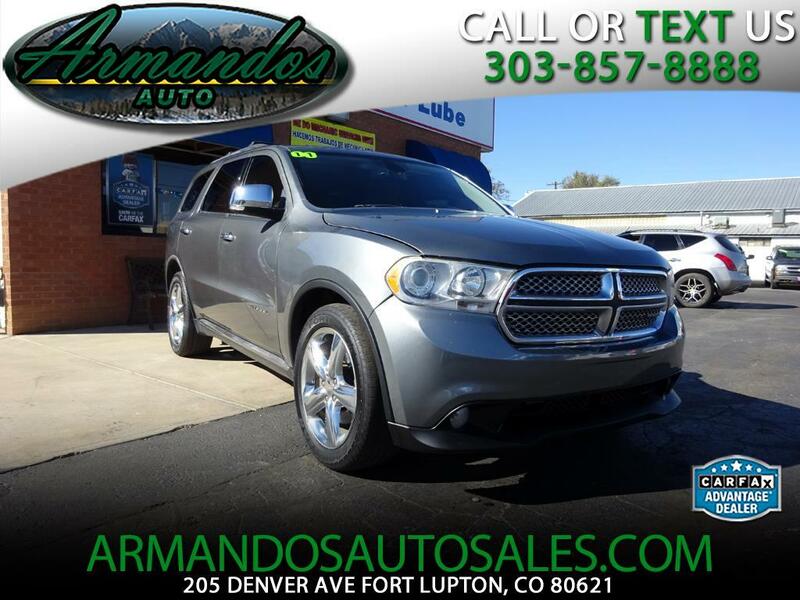 In a world that's chocked full of pretenders and wanna-be's, this 2011 Durango Citadel represents the real deal! Print this page and call us Now... We Know You Will Enjoy Your Test Drive Towards Ownership!